Built with a heavy duty resin construction and has a deep reach for those hard to get to places. 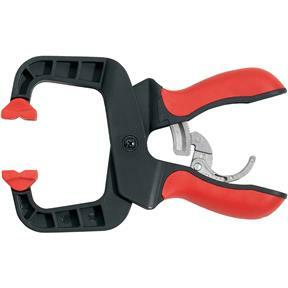 Features a ratcheting mechanism for quick action and a quick release. Also features pivoting jaws for a snug fit. 2" clamping capacity and 2" throat depth, 0.50 lbs.